FHA home loans aren’t just for those who want to buy existing real estate in the traditional manner. You can also get an FHA home loan to construct your home, you can buy a fixer-upper and rehab it, or you can apply for a typical FHA mortgage. July 9, 2018 - FHA home loans aren’t just for those who want to buy existing real estate in the traditional manner. You can also get an FHA home loan to construct your home, you can buy a fixer-upper and rehab it, or you can apply for a “typical” FHA mortgage, but request added funds to install approved energy efficient upgrades. What are these FHA loans? There are several, including but not limited to the following. The FHA EEM can be used on almost any FHA mortgage loan to add money for approved energy saving features including new storm doors and windows, certain solar options, many different types of improvements are possible. Under the FHA EEM program you can be approved for a loan in certain increments up to $6,000 or more. The upgrades you choose must have a demonstrable benefit and you will be required to hire and use an energy consultant to make specific, informed recommendations for how the money is best used. Talk to your loan officer about this option for any FHA home loan including refinance loans, but especially new purchase loans, construction loans, rehab loans, or cash out refinancing. FHA OTC loans allow a single application and closing date for borrower who want to have a home built for them from scratch. This avoids having to wait out two credit checks and two loan closing dates. Borrowers should discuss the One-Time Close construction loan with the loan officer prior to hiring an architect or spending money in similar ways-find out what the lender’s requirements are for applying with or without a building permit in hand, as this will be a very important factor in how your loan is to proceed. FHA OTC construction loans will naturally result in delayed occupancy for the buyer until the construction work and required inspections have taken place; ask your loan officer what typical waiting times are in your housing market. FHA offers the 203(k) and 203(h) rehab loan options, but before you apply it’s important to know that the FHA 20(k) rehab loan is what most people will need unless applying for a home loan to replace or repair property that was damaged in a federally declared disaster area. FHA 203(k) rehab loans come in a smaller version (the “Limited 203(k)) and the “Standard 203(k). The smaller rehab loan is for less intensive rehab projects and major structural work cannot be funded with an FHA Limited 203(k). These rehab loans are available as both new purchase mortgages and refinance loans. 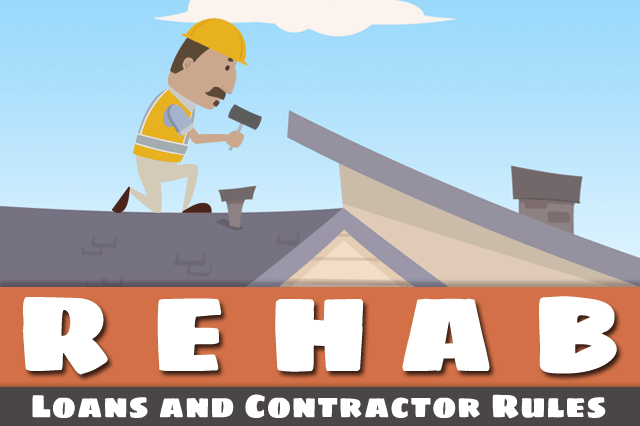 Each rehab project must meet FHA guidelines and minimum requirements. Lender standards and your state/local building codes and permit requirements will apply above and beyond FHA loan minimums.